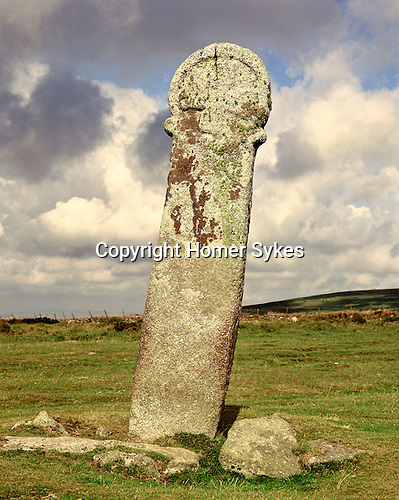 Longstone Cross, Bodmin Moor, Minions, Cornwall, England. Celtic Britain published by Orion. Probably once a pagan menhir and then Christianized by Celtic holymen by carving a round headed cross on to it during the Dark Ages. Also know as the "preaching cross"